Jacksonville Divorce Lawyer Blog — Page 2 of 78 — Published by Jacksonville, Florida Family Law & Divorce Attorney — Wood, Atter & Wolf, P.A. I got a letter that I have to pay child support, but I never went to Court. What Should I Do? The short answer, yes, this happens all of the time and you should get a Florida Family Law attorney to review the documents and represent you to protect your legal rights. In Florida, historically, when a parent is looking to collect child support from another parent, they go to court, the judge determines whether the man is the father, they create a child support amount, and everyone carries on from that point. Another procedure has been getting more popular in recent years, however, and it is called the administrative establishment of child support. The Department of Revenue is the state agency that works with custodial parents to collect child support, both from citizens who are in need of legal help for a small fee and also from citizens who receive public assistance for their children. The law allows the Department of Revenue to either use circuit courthouse to establish child support, or to use the administrative process. In the administrative process, parents are sent a letter that the Department of Revenue has started a case against them, and gives the parents twenty days to respond. Unlike the procedure in circuit court, no one comes out to serve the paperwork, they just receive a certified letter in the mail. It is assumed that if a person receives a letter, or a letter is signed for by a household member that the mail will be read by the addressed person. This may not always be true, and can result in a child support order being entered against you, without going to court. If the parent does not respond, then the procedure moves forward, and with or without the involvement of the other parent, child support will be established, and will be a court order with the same effect of one that you would get from the courthouse. So, it would be possible for a person to have a child support, and not know it if they did not open the letter that they received from the Department of Revenue. This can have huge effects on the paying spouse, because if they are not aware of it, and their case does not have an income deduction order, then obviously, the Department of Revenue can seek to suspend their driver’s license, or any other method to make someone pay their child support. Not only that, but if a parent wishes to have a DNA test or has a question whether they are the father or not, that issue can be addressed in the administrative process but only if the parent takes the necessary steps to participate. What is the Required Financial Disclosure for a Florida Family Law Case? 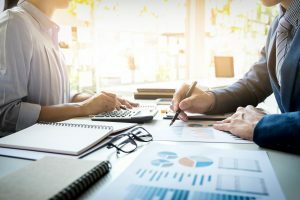 When you file for divorce, paternity, or are involved in a dispute regarding your children with your former partner in the State of Florida, there are requirements that both parties exchange financial information. 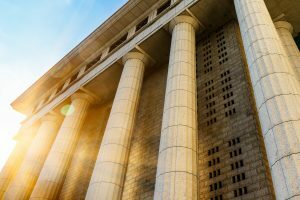 Under the Florida Family Rules of Procedure, specifically Rule 12.285, when a family law matter is filed in circuit court, then the parties have to turn over certain documents to the other side. These include the following financial documents: three years of tax returns, three months of proof of income, three months (at least) of bank statements, retirement information, credit card statements, and the list goes on. This is required so that both parties and the court have a clear picture of the financial assets and debts of each side, and that the needs of the spouses and children are met based on the income between the parties. Without it, the court cannot do its job to ensure that the outstanding issues between the parties can be handled completely and that resolution can be final. In many instances, clients, or the opposing party, does not want to turn over financial information. This is especially true when parties are already divorced and have been living separately for years. The requirement, however, remains the same. Having an experienced Florida family law attorney to guide you through the necessary disclosures from your documents, and also ensuring that you receive the documents that you will need to prove your case is essential. This is frequently a hot bed for issues that result in one party refusing to fully comply, and requires motions to be filed before the judge to decide not only when you should receive the information, but also if sanctions, like attorney’s fees should be assigned to the non-compliant spouse. Ensuring that you are in compliance with the required, or further requested documents, is essential to safeguarding yourself from facing possible sanctions as well. By providing organized documentation to your legal representative gives them the ability to review and submit with confidence that you are in compliance with the required disclosure. These documents are important to your case. In some instances, bank statements, credit card purchases, and income statements can show an experienced family law attorney aspects of your case that will help to make you successful in claims of spousal support, child support, or the distribution of assets and debts. These documents are also helpful when received from the other side in demonstrating what their need for support, ability to pay support, or where funds may be wasted which in turn in also helpful to your case. What Components of Income are Included in Calculating Alimony and Child Support Payable by a Service Member? In the State of Florida, one of the most unique issues in a military divorce is the calculation of alimony and child support based on the income of the parties. When one spouse is OR both spouses are employed as service members, it is important to recognize that aspects of income, some not even taxable by the IRS, will be considered income when it comes to providing for your children and former spouse after a Florida Dissolution of Marriage. 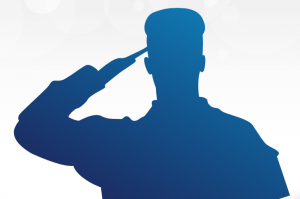 Calculating income for a Florida military divorce or paternity action creates special issues, because of the differences in how service members are compensated as compared to the civilian workforce. Most of the pay information is found on the Leave and Earning Statement, which details how much you (or your partner) earns, their rank, years of service, but also any deductions. In every day terms, this is essentially the equivalent to your pay stub. When considering what is inclusive income, a Florida court will consider the service member’s pay first. Thus, the basic pay, hazard pay, combat pay, and flight pay will definitely be considered in the calculation of the available income. These forms of pay are usually taxable, therefore it should come as no surprise that they are income. 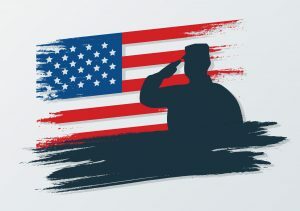 Military families need to also include the allowances that decrease a service member’s cost of living, such as housing allowances (BAH), disability pay, subsistence allowance (BAS), per diem payments, and cost of living adjustments (COLA). These “allowances” not only decrease the daily living expenses of the military spouse, but also act as an increase in their income, and become a complicated issue for family law judges to determine when considering child support calculations. These additions are usually considered to be income, as they are cash benefits which ultimately would be considered components of gross income when calculating child support of the families’ children. Picture this…you and your girlfriend recently found out that you are having a baby. Not only that, you also find out that your girlfriend is not technically divorced from her husband. Does that cause problems for you as a unmarried father? In Florida, the answer is clearly “YES.” In Florida, the paternity law is clear that when a woman is married and pregnant, even if she has filed for divorce but the judge hasn’t signed off on the divorce, her husband is presumed to be the father of the child, also known as the “legal father.” Where does that leave a biological father as to his rights for paternity and parenting a child? As an unmarried biological father, you must take action by either filing for establishment of paternity or answering any action to establish paternity. The responsibility is now shifted to you to demonstrate that you are the actual father under the law, through DNA testing, for you to establish your rights to your child. This can be accomplished by filing a Florida Petition for Establishing Paternity, where you would have to start a lawsuit against the mother of child, not only asking to establish paternity, but also timesharing and child support for the child. Another avenue to explore is to make sure that your current girlfriend includes the child in her divorce, informs her husband of the new baby, and have them agree that he is not the biological father of the child. This can be done in a variety of ways, such as an Affidavit of Non Paternity. Then, when they get divorced, the final decree will explain that while the mother is pregnant or has had a child during the marriage, the husband is not the father of the child. This will excuse the presumed, legal father from any responsibility or rights to the child, but it does little to establish your rights as the parent of the child. Does It Matter Which Party – Spouse Files First in a Florida Divorce Case? Does it matter that I file the Petition for Dissolution of Marriage first? Will my spouse get the upper hand if he or she files first? When couples divorce in the State of Florida, one consideration is will there be alimony and if so, how much for how long? 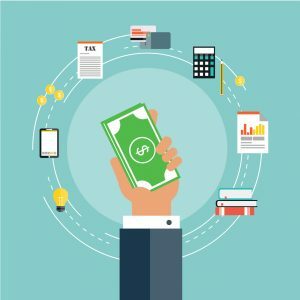 Alimony comes in different shapes and sizes, but one aspect has consistent: the spouse that pays the alimony is allowed to reduce his or her payments from the gross income in the IRS Income Tax filings, and the receiving spouse needs to include these payments in his or her gross income. This may soon, however, become a thing of the past. Tax reform is one of the biggest issues in Washington D.C., which will have an impact on every person in the United States. There are many aspects in the proposed 2017 tax reform, but one that seems to less talked about is the plan to change how alimony is treated. Instead of the paying spouse being able to deduct alimony payments from gross income, the proposed reform will no longer recognize that deduction. Further, the receiving spouse will no longer have to claim the alimony as part of his or her income. Since tax reduction has been one way to make alimony more palatable to the paying spouse, this change will have significant impact on the likelihood of couples reaching mediated agreements or settlements in a Florida divorce case. One reason given for the proposed change is that while most paying spouses claim their alimony deduction, many receiving spouses do not include alimony in their taxable income. 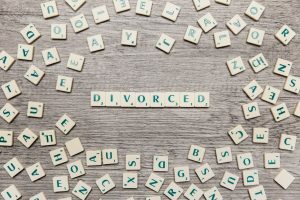 This possible change, however could have considerable effects on how divorce will evolve, as family law attorneys and judges will need to consider the tax implications far more closely when determining if alimony is not only appropriate, but also what the likely ramifications will be to the payor spouse. Alimony is one of those issues that continues to be an area of contention, battle, and court fight between divorcing spouses. While it is reasonable that the spouse who stayed home to raise the children, should have some financial support, the legislature and courts in Florida have already started to chip away that at the presumption that financial support from a divorced spouse should last for decades or the rest of a spouse’s life. The burden to overcome not only the need for alimony, but now the ability of a paying spouse will become far more difficult to show in court if this proposal ultimately becomes law. Can I Get Divorced in Florida if I Have Been Stationed Here for Military Duty? Getting divorced creates a myriad of obstacles, but one of the biggest issues for military families is the question of “what state am I supposed to get divorced in?” In the State of Florida, the court requires that a party live in the state for at least six months prior to filing for divorce. This is required for anyone seeking a divorce in Florida, but becomes of special importance for military families due to relocations for active duty. Unfortunately, divorce has become a common reality in our society and in the State of Florida, and it has far reaching impacts for individuals, couples, and their children. Twenty percent of divorces are highly contested, causing courts to label these cases as “high conflict,” meaning that there is a troubling trend in communication style between the parents of the children in the case. With intervention, almost 80% of those “high conflict” cases improve and parties are able to address the needs of their children as a team. Being in a high conflict Florida divorce, throughout the process and after, can be physically and emotionally damaging to the spouses and children. Improving your communication is the single most effective strategy to long term growth in co-parenting conflict. So, how can co-parents improve how they communicate? There are a variety of strategies that can be used to reduce conflict and anxiety. That being said, if you are in fear for your safety or your child, then your best course of action is to remove yourself and your children from danger. First, stop building a case against your ex, former spouse, or former partner. 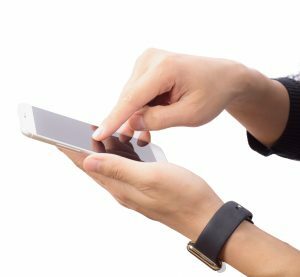 Judges do not look favorably on parents having long text exchanges that start out discussing the children, and end up in name calling. Requiring your former spouse to only communicate in writing is also unhealthy. In situations where you feel that you need to memorialize a conversation, a follow up email to your co-parent detailing what you discussed in a phone call is more appropriate. Having an experienced Jacksonville Florida Family Law Attorney to conduct the litigation on your behalf is the best tool to helping improve your communication with your co-parent. Leave the lawyers to do their job, and focus on your child in your communication with your co-parent. What is Mediation in a Florida Divorce? The short answer to that question is simple, “because it works.” Another answer would be because it is ordered by the Judge. Research has indicated that when spouses can have some input and control over the outcome of the divorce that both sides tend to work better at holding to that agreement and being more satisfied than if the judge decides. Mediation in Florida divorces is an opportunity for each spouse to communicate through a third party over how each spouse’s finances, parenting responsibilities, timesharing with the children, and assets can be split based on the priorities of the family. Mediation occurs in a casual office like setting, so the environment is more comfortable for reaching agreements as opposed to the formality of the agreements. Additionally, you and your spouse usually sit in separate rooms with your respective attorney, and the mediator, who is typically a lawyer or counselor trained in family law, talks to both sides individually to help create an agreement for the future of this family. Also, at mediation, everything that you say is confidential, and negotiations can not be used against in court later, so this gives each side freedom to make offers to find a resolution and not worry that their words will come back to haunt them in front of the judge. In addition, when it comes to timesharing with your shared children, you can craft a parenting plan that is not only going to work for the particular needs of both parents, but it is focused on the needs of the children. For example, maybe your soon-to-be former spouse has an work schedule where the work overnight shifts, mediating a parenting plan can help to take those considerations into account when you and spouse come to an agreement about how to maximize time with the kids and parents, considering the work hours of both parents. The dissolution of a marriage can be a frightening and stressful ordeal that many divorcing couples might not be emotionally equipped to handle on their own. Because emotions run high, even for the spouse who is seeking the break-up of the marriage, unresolved issues that led to a divorce often-times takes years to resolve. These problems are compounded when children are involved and add additional emotional issues that can led to severe complications for both parents and children. Divorce can be one of the most difficult, life altering events that can take place in a person’s life. The judicial process, once initiated can also be a daunting reality which adds to the emotional stress experienced by one or more of the spouses. The final outcome in divorce matters is usually decided by the courts if mediation does not present a remedy for the parties involved. Having an effective opportunity to resolve differences is usually not experienced during divorce proceedings without the guidance from an experienced attorney. At Wood, Atter and Wolf, we have experienced first-hand, the pain and suffering endured when clients are not guided in the right direction. We understand that unresolved issues stemming from an unsuccessful marriage can bleed over into the experience divorced couples endure after the legal issues have been resolved. We try to guide our clients towards, not only a successful outcome, but ways former spouses and children can deal with the trauma of divorce and find common ground moving forward. We find that the quicker you can put anger and unresolved issues behind, the sooner all parties will be happier and enjoy fulfilled lives again. This is why we encourage a collaboration between divorcing couples, working through their differences and trying to proceed with the interests of both parties in mind. While seeking an amicable solution, many formerly married couples can become happy singles again. In most divorce cases, unresolved issues left on the table can feed over into post-divorce issues that complicate and exacerbate even simple matters. Just because a divorce decree has been finalized doesn’t always mean that all parties have moved on emotionally. Especially when children are involved, parents with new co-parenting roles should try and develop a shared communication allowing parents to work together in the mutual best interest of the children. At Wood, Atter and Wolf we try and promote an ever evolving, harmonious relationship between former spouses focusing on what is truly important, the future, rather than mistakes made or regrets of the past.